Novartis published a new web video featuring real patients with chronic obtrusive pulmonary disease. In the video, five women share their struggles with flare-ups. The company is using the video to promote awareness in COPD “exacerbations.” Watch now. In honor of Eli Lilly and Company’s 140th anniversary a Lilly colleague, and slam poet, delivered a performance that bridges the company’s past, present, and future. The video utilizes a unique way of sharing a company’s history. Watch now. For the Winter 2016 Harvard Medicine the magazine used video to introduce the magazine’s theme: The Art of Medicine. The video stars a Harvard Medical School alumna as she speaks about the connection art and medicine can have when communicating with patients. Watch now. Massachusetts General Hospital released a new patient video. The video’s subject is a local business owner, optician, and competitive dancer. When metal valve disease threatened her quality of life the medical team at MassGeneral was quick to react. Watch now. NewYork Presbyterian Hospital released a new series of videos to promotes its stem cell transplant programs. 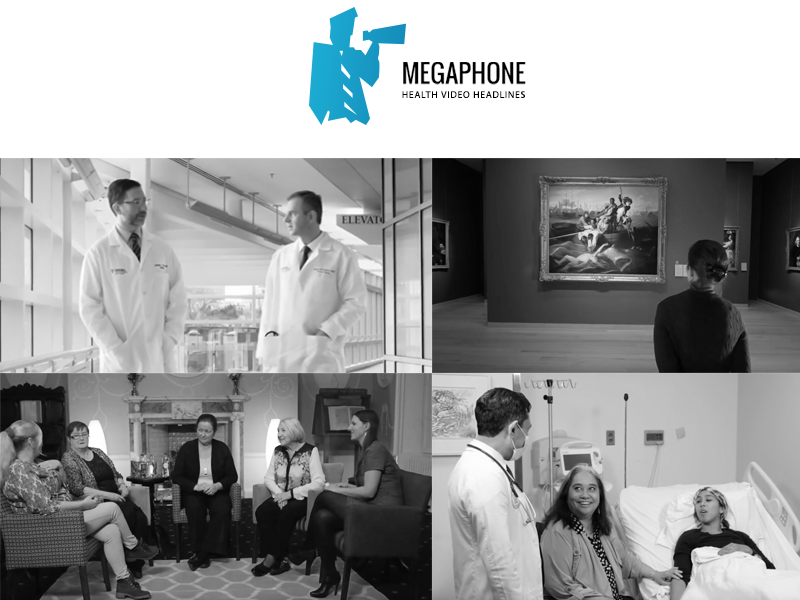 The videos blends cutting edge science and medicine with real patient testimonials. Watch now. The Megaphone team was saddened to hear of Weill Cornell Medical’s Dr. Edwin Darracott Vaughan Jr.’s passing in April. Dramatic Health, Inc. had the honor of working with Dr. Vaughan on a urology series.